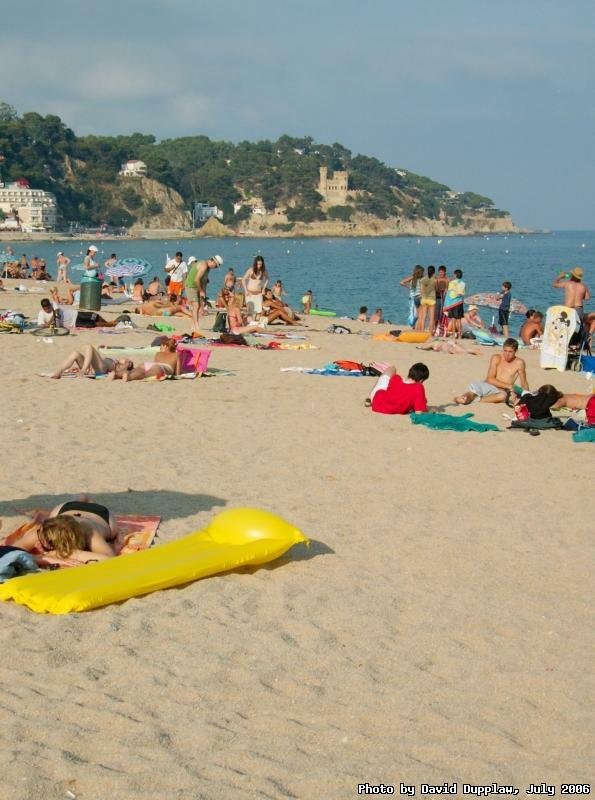 Lloret De Mar beach, one of the many tourist resorts on the Costa Brava. This is where I've been for the last week. I was actually working at a meeting that was organised there, and this photo was taken during a dash to the beach at lunchtime in the 36 degree heat. Because I went hand-luggage-only and I knew I wouldn't get time to take photos, I only took a compact digital.